Increasingly, a speedy and efficient returns service is something that customers look for when making a purchase. In fact, many consumers will now check to see what the returns procedure is before buying anything online. As a result, the number of returns has increased considerably and those businesses that are not prepared for the issues of reverse logistics have found themselves with serious challenges where both budgets and customer service are concerned. So, what can be done to help overcome the issues of returns and smooth out the kinks in the process? Things have changed significantly in the retail and manufacturing industries and collaboration is proving to be a powerful force with respect to overcoming obstacles that make life difficult for both. Returns are a prime example of this – many manufacturers used to insist on the return of their products by retailers if the customer sent something back. This was often motivated by a desire to protect design or technology details. However, it could be very expensive. Today, increased collaboration has seen changes to this approach, for example many manufacturers now give retailers allowances to destroy a certain volume of returned goods, as opposed to going through the costly process of returning them to the source. Cost and time are two of the main issues with an increase in the number of returns that a business has to deal with. Each return costs money to package, ship and process and an efficient returns system in-house also requires employee time. For some businesses, the increase in returns has meant rethinking the returns process, for example for smaller items it may simply be cheaper to ship out a replacement than to request the customer makes a return first. 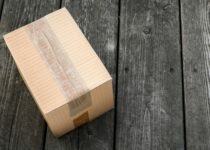 Increased policing of returns activity is also becoming more common – some retailers have closed the accounts of customers who have been returning too many items. Digital technology, such as the Internet of Things, is providing more options when it comes to finding ways to reduce the financial impact of returns. For example, some manufacturers have designed products that can be assessed and repaired from a distance, without the need to send items back via a returns process. Collected customer data is also being analysed to try to predict the flow of returns to seek to identify the source of what triggers a return and to reduce the number of situations in which it happens. Finally, many retailers and manufacturers have begun to outsource the returns process to third parties that are able to manage it at a lower cost thanks to economies of scale. Innovation in logistics and delivery is increasingly offering better options for handling the impact of returns. For example, many suppliers are combining delivery and pick up to reduce costs, and centralised return centres and integrated logistics infrastructures offer a range of options for improving efficiency, both in terms of service and spend. If your business needs to overhaul its returns process we can help – contact us to find out more.